What is spider control and how does it work? Every home at some point will have spiders whether they are your annoying friendly house spider or your poisonous spider which is hunting for its next victim. 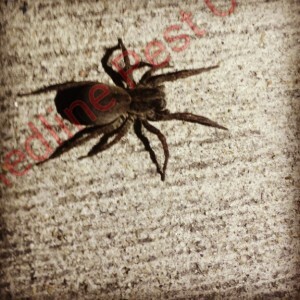 How does Redline Pest Control eradicate spiders? First and foremost our technicians will go around your home or business and will correctly identify any spiders which are on your premises before any treatment is carried out. 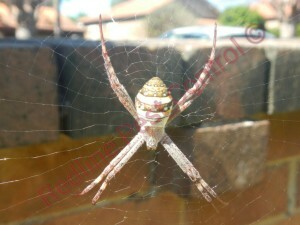 Depending on the type of spider which is lurking in your home there is different treatments that we carry out. 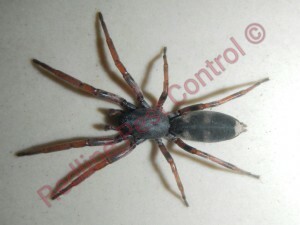 Your typical webbing spider will need to be sprayed directly as spraying around the perimeter will not eradicate them. 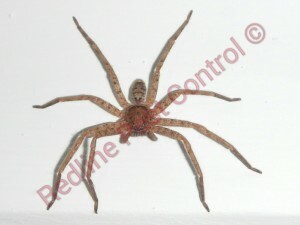 Unfortunately spiders are not like other pest and will not die once they walk over the chemical barrier which is set in place once a treatment has been carried out. The reason why spiders needs to be directly sprayed is that their feet or paws have tiny little velcro hairs which doesn’t absorbed the chemical which has been sprayed around the spiders habitat. Ground dwelling spiders are also known as wanders and will make burrows in the ground and depending on what species of Ground dwelling spider that is lurking in your home or business some will have small silk trip lines to catch their prey. 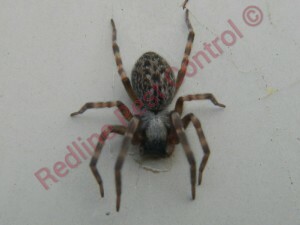 Redline Pest Control needs to comb over both your front and back yard to see if there is any little burrows and once a ground dwelling spider infestation has been identified the technician will spot treat each burrow and then will do a blanket spray over the yard. If you have ground dwelling spiders inside your home Redline Pest Control will need to do a treatment which involves smoke bombs. 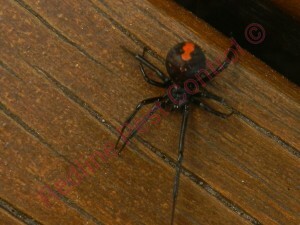 Using smoke bombs will kill off any pest or spider which is hibernating in cracks and crevices in your home. You will need to leave home for around 4 hours once the smoke bombs have been activated and will need to stay at least another half an hour outside once you have opened your windows and doors after the 4 hour period is up.